Another chance to see The Feeling playing a free show on the piste in Méribel plus over 40 other gigs with artists including Sophie Ellis-Bextor, Glen Tilbrook from Squeeze and Graham Gouldman from 10cc with more bands and DJs to be announced soon plus details of special package deals to enjoy the snow by day and music by night. 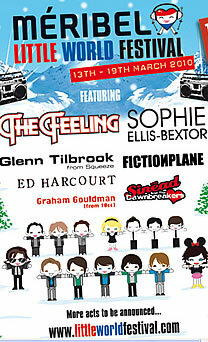 The Feeling announce their own festival! 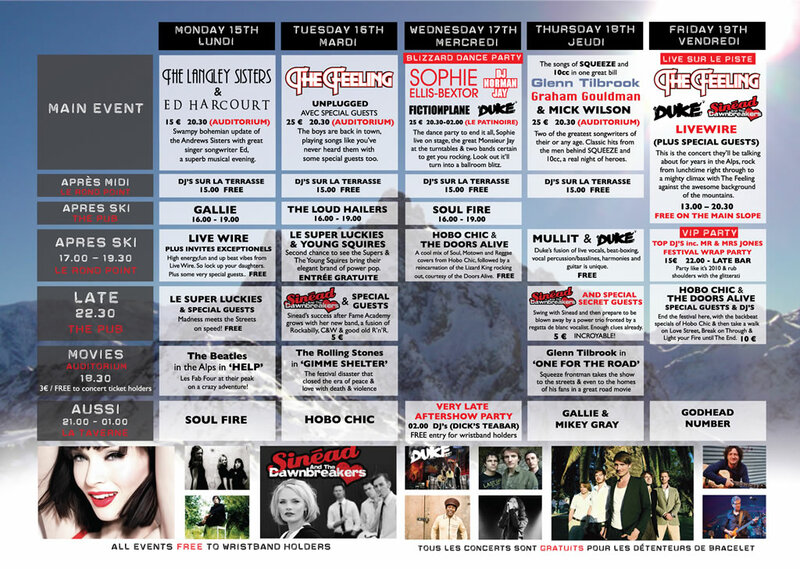 We're very excited to announce that, in March 2010, The Feeling will return to Meribel, scene of the band's earliest gigs, to host their very own event, Little World Festival. For seven, fun-filled days in the magnificent French Alps, the band will curate more than 30 separate events, from small bar gigs, to an indoor dance party, to a huge (and completely free!) on-piste main show. Fans buying a wristband will be able to attend all of the week's events. 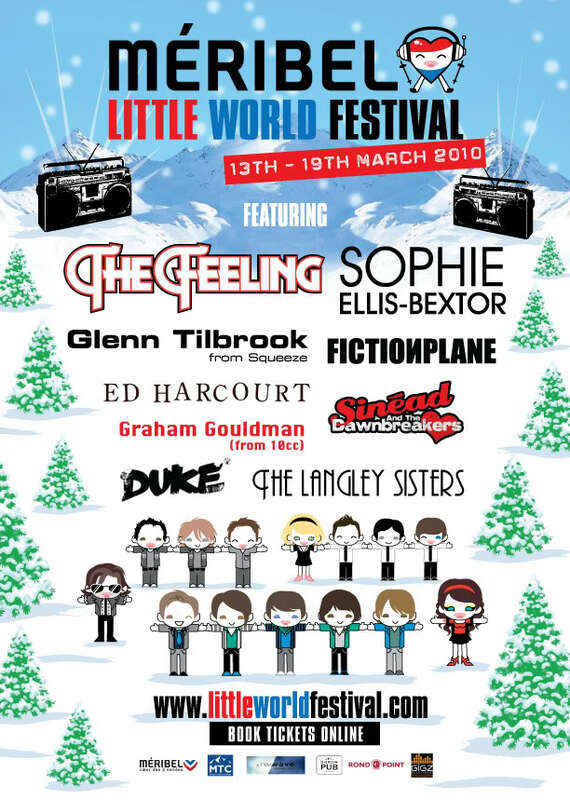 As well as several performances from The Feeling, fans will be treated to shows by acts including Sophie Ellis-Bextor, Fiction Plane, Ed Harcourt, Sinead and the Dawnbreakers, 10cc’s Graham Goldman and Squeeze’s Glen Tilbrook, with many more artists to be announced. One special night will even feature intimate collaborations between all of the artists. “It just seemed like the perfect event for us to organise,” says Richard, who came up with the idea alongside his bandmates. “We love festivals, we love skiing and we have a proud history as a band in this very ski resort. Little World combines all of our passions. It's incredibly exciting to be able to go back to the place we started and put on our own little festival." 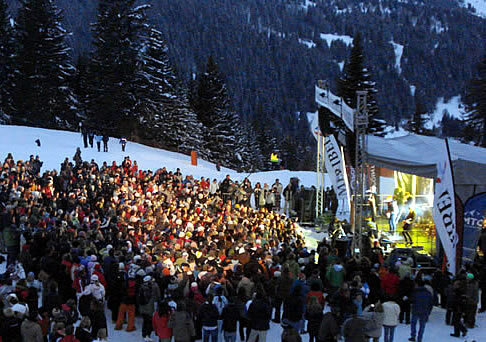 Little World Festival was inspired by the band's last trip to Meribel, in 2008. On that visit, they played a free gig on the piste to 6,000 fans in what marked a triumphant return for a group of friends who, years earlier, had performed three sets a day in the resort’s bars. The 2008 trip formed the basis of the live DVD, “Come Home”, featuring narration by friend-of-the-band Kiefer Sutherland. "We organised that trip ourselves and it really opened our eyes to the possibilities," says Richard. "“More bands should try doing things for themselves. This whole event is exactly the way we want it. We've really enjoyed pulling it together alongside recording the new album." "It's an amazing feeling to be able to take all our friends out there to play with us, alongside heroes like Graham Gouldman and Glen Tillbrook," says Dan. "I think for all of us, snowboarding during the day and seeing bands by night is our idea of a perfect holiday. Hopefully that's what Little World will be like for everyone who comes. We can't wait."